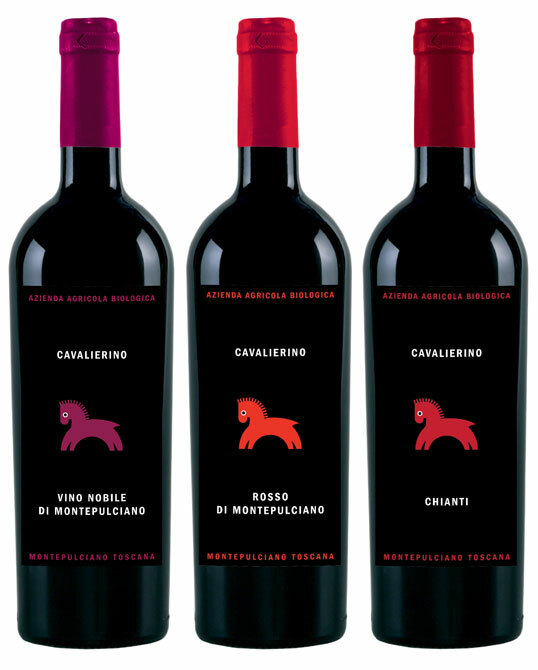 “Cavalierino is a small winery in the beautiful high hills of Poggiano within a stone’s throw from the historical towns of Montepulciano and Pienza just south of Siena, Tuscany, Italy. 155 prime acres of vineyards, olive groves, woods and cypress trees are bathed in a soft, golden Tuscan light. “It is very difficult for a new small winery to emerge in the prime wine producing region of Tuscany. My strategic approach embraced such a handicap with enthusiasm – says Creative Director Lorenzo Ottaviani. 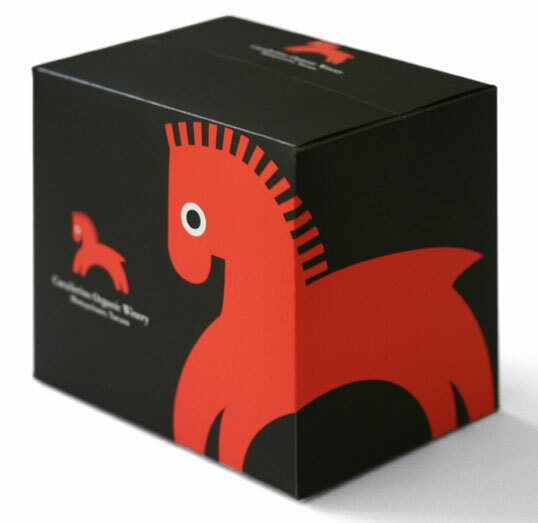 This is so nicely designed it transcends the cute animal trend in wine packaging the market has grown tired of. Brilliant design! Sure to be a success for Cavalierino. Your work reminds me of why that is so. 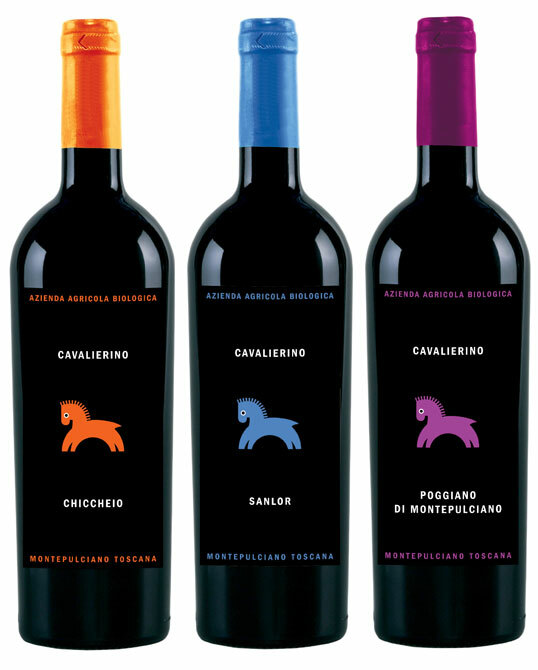 The power of the logo and the elegance of the package ,create a perfect match with the powerful and elegant wines of the Cavalierino!. Very nicely done – a wonderfully talented creative director. The label dasign is very modern and attractice,some people prefere the traditional old stile wine label,but most people like the new design very much.From the time we adopt the new design we are increasing the sales continuosly.Beside the quality of the wine,this is the strenght of the design! !